Internet search engine giant Google’s fourth quarter earnings for 2012 showed higher earnings despite a loss of $353M caused by its device manufacturing company, Motorola. Google switched itself into defensive mode by stating that Google has switched to defensive mode by stating that they are going through restructuring of Motorola Mobility and it has got whole lot of works lined up to finish the restructuring. Since the time Google acquired Motorola Mobility, it has been a rocky experience for Google. Google also stated with it is not worrisome for them to see the same kind of performance on earnings from Motorola. Nevertheless, Google’s fourth quarter revenue results show a growth of $12.1 billion. As compared to the previous, it has witnessed a growth of 19%. Unlike before, much of the revenue is not coming from personal computer users but from smartphones users. People who own smartphones and tablets use their devices more frequently to access various services from Google such as Google Search, Gmail, Gtalk and other services. Recent reports have shown that 1/4th of the total number of clicks on Google ads are mainly from mobile devices. 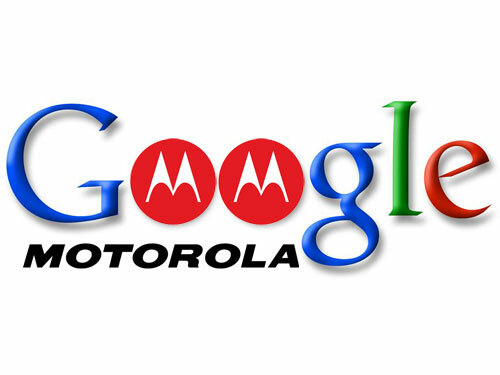 Google’s CFO Patrick Pichette has warned that Motorola will continue to show unstable results until restructuring work is completed. A time period of 12 to 18 months is what is highlighted by Google for restructuring Motorola. Patrick likened the situation of Motorola by saying it is just like reinventing the business. Google plans to do the reinventing under the guidance of ex-Google executive named Dennis Woodside. He has already gone ahead with the process of reorganizing the business by working on some smartphones. It seems that Larry Page may be pleased with the current results of Motorola and the generated $1.5 billion rise in the fourth quarter of Google but we have to wait and watch to see how long investors keep their patience. Larry Page is quite excited and gives a hint that the future phones from Motorola Mobility will be high-end phones that will deliver unmatched performance. Larger battery life, faster performance and highly durable are some of the features we may be easy in future Motorola phones. Here is why Larry Page may be right when he is seen defending fourth quarter standings by saying that they are only in the initial phase of Google’s taking over of Motorola. It was in August 2011 that Google had announced about acquiring Motorola Mobility and the deal was successful in May 2012. Technically speaking, Motorola has been working under Google only for around six months and it may be too early to doubt on Motorola’s acquisition by Google. Patrick Pichette feels that in this short span of time they managed to achieve good progress. After Motorola Mobility released the DROID RAZR HD and Droid RAZR Maxx which has received many rave reviews there has been no news on the future phone from the Motorola camp. However, things can swing in to Motorola’s and Google’s when the rumored and much awaited Motorola X Phone hits the stands. The X Phone is expected to be shipped unlocked as well as work on all the well-known service providers. Let us keep our patience for some more time and see what has Google and Motorola have in store for us. Sneha is generous and creative when it comes to putting technology in beautiful words.